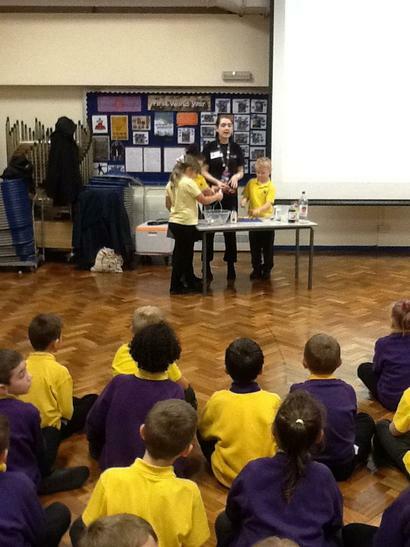 We had a visit from the team at Eureka. 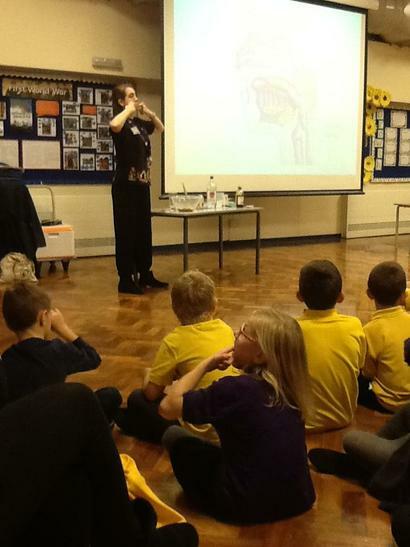 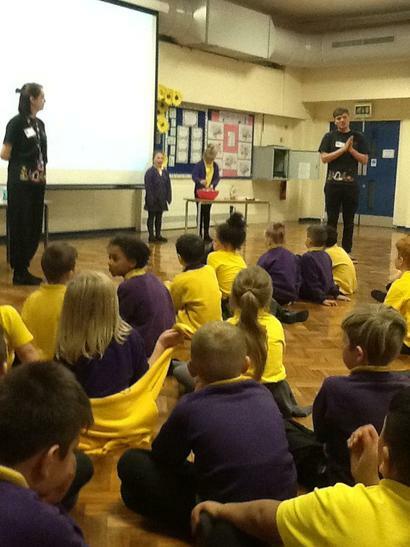 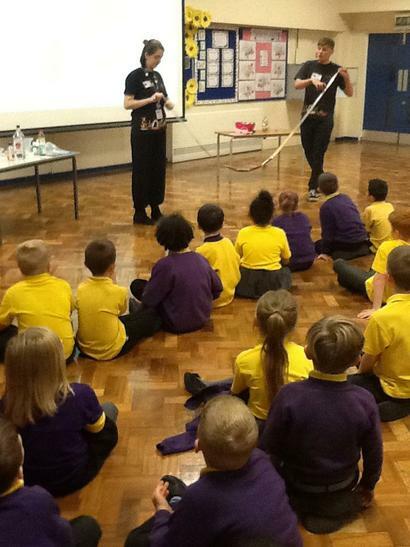 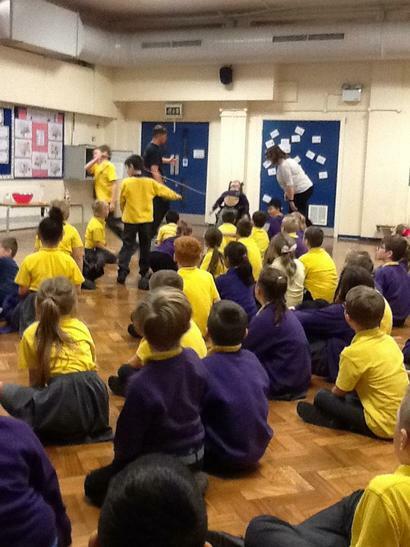 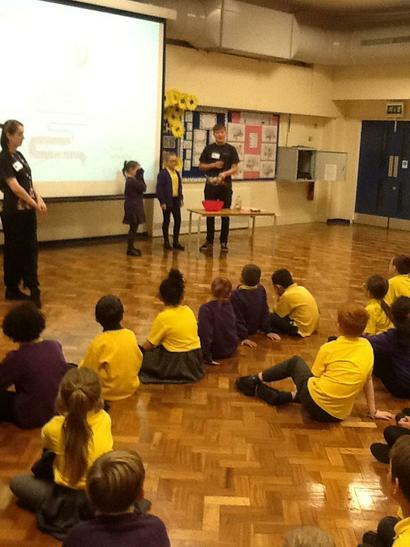 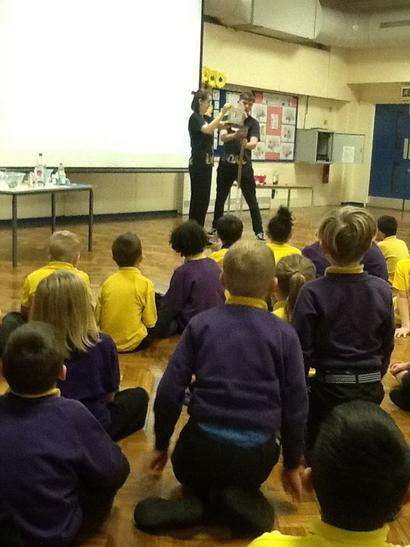 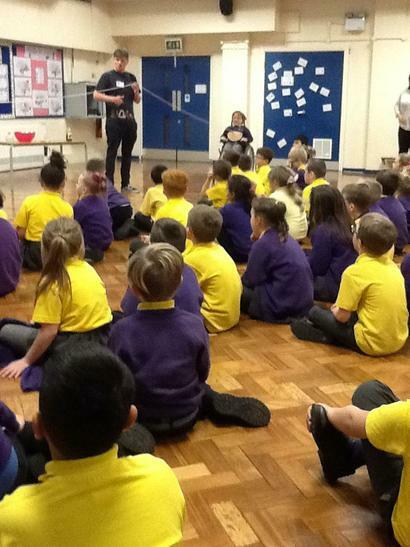 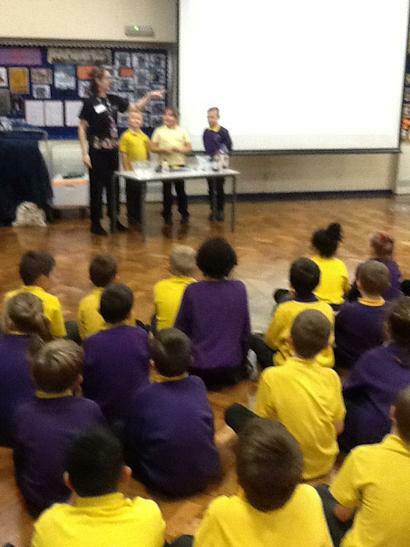 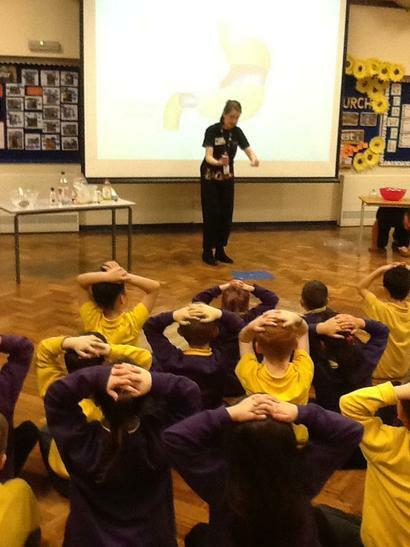 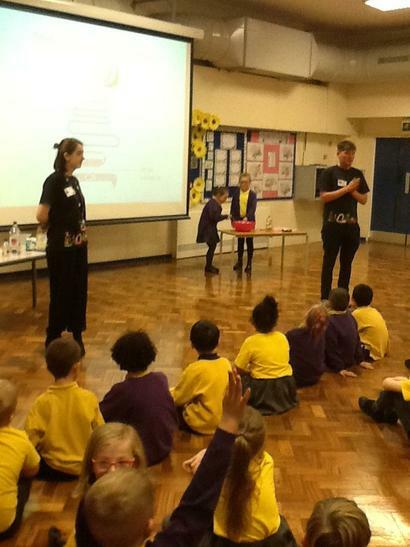 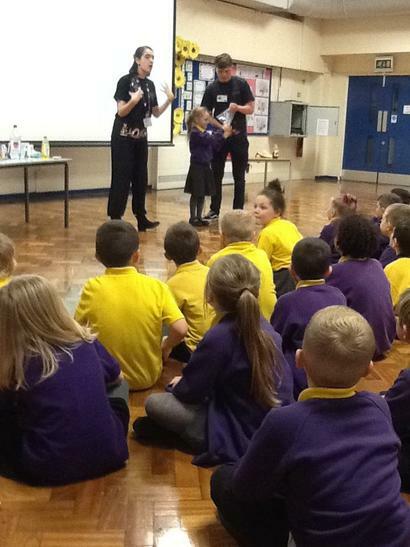 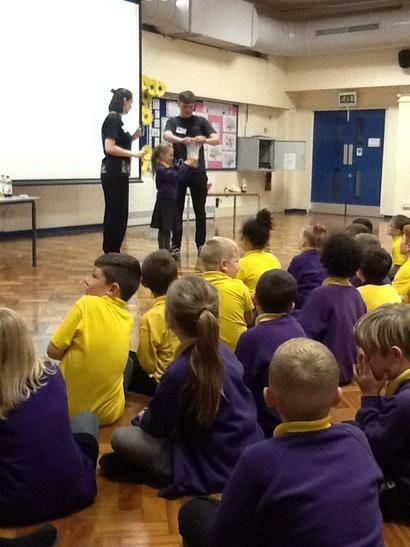 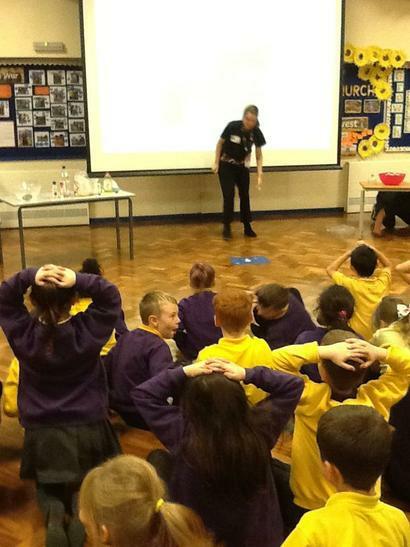 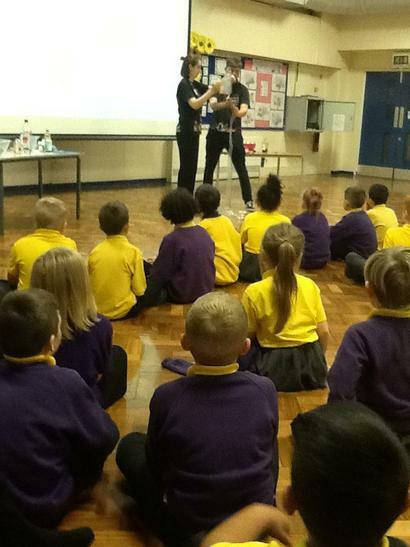 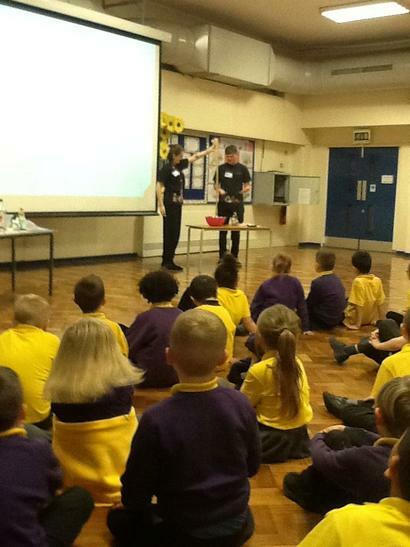 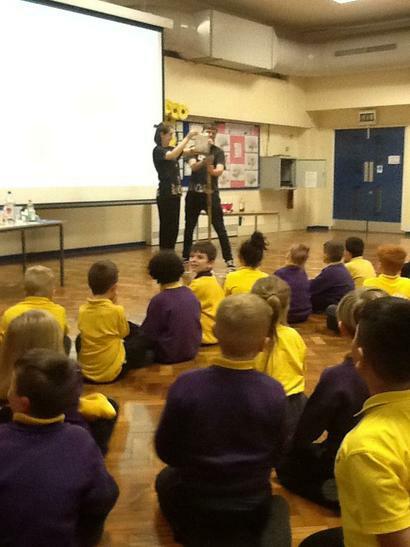 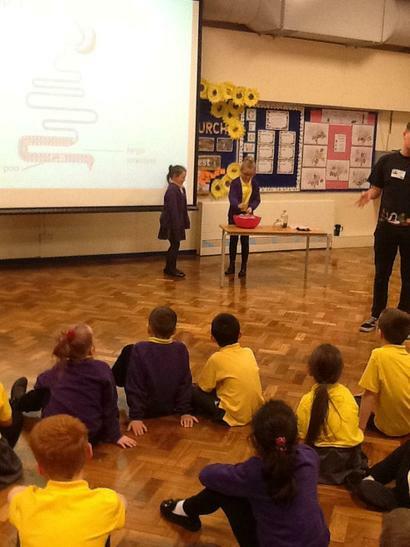 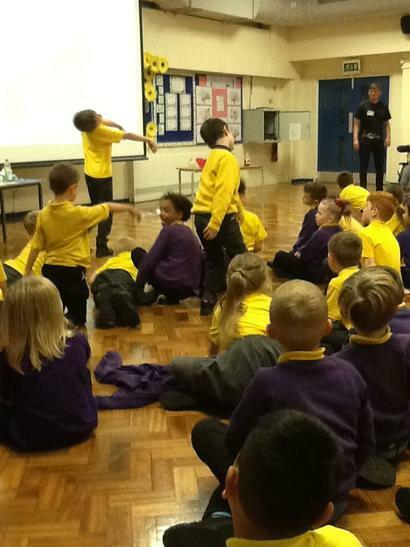 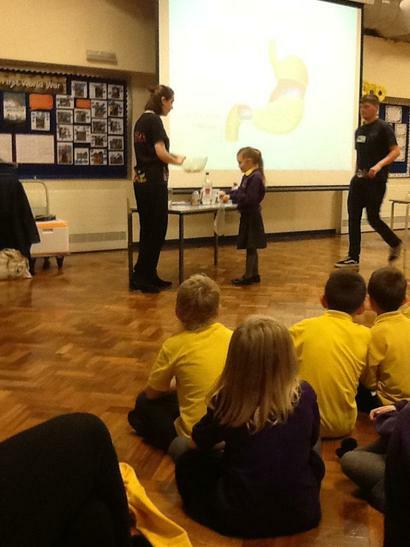 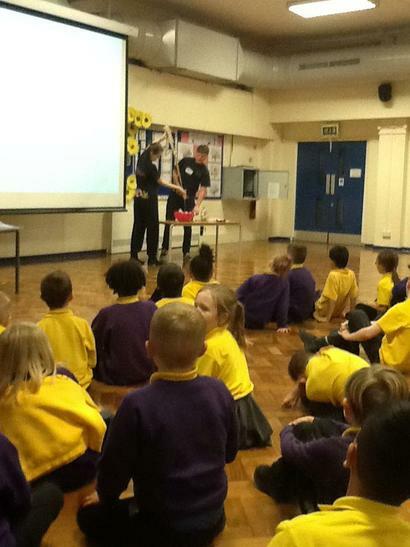 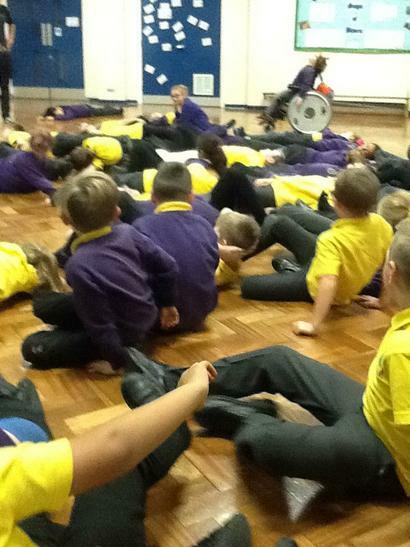 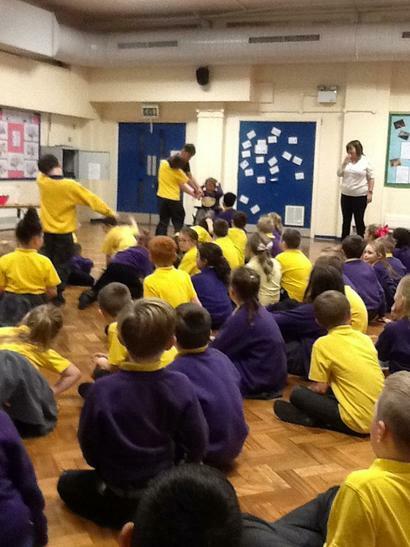 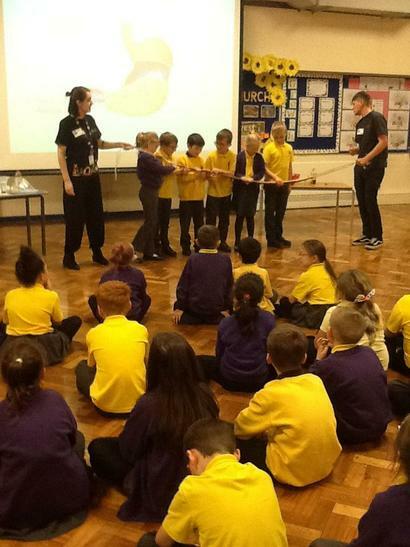 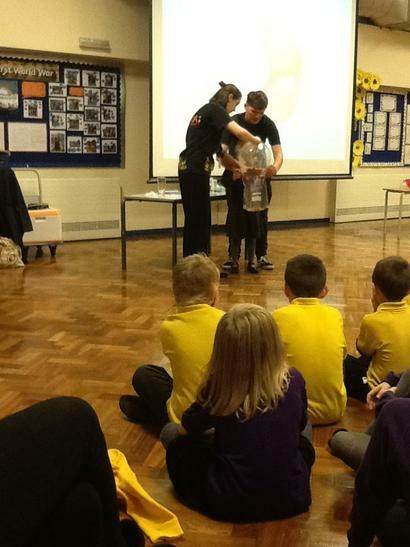 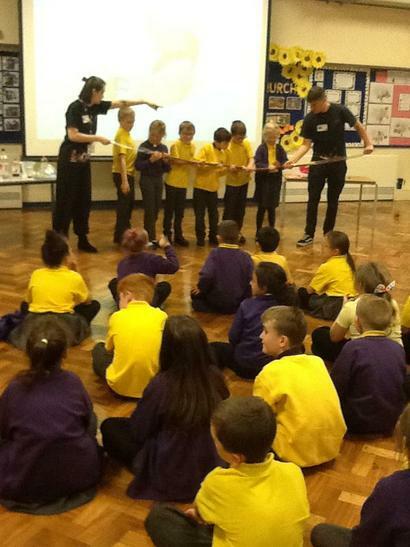 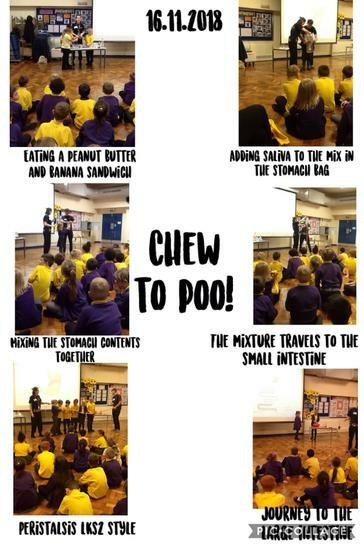 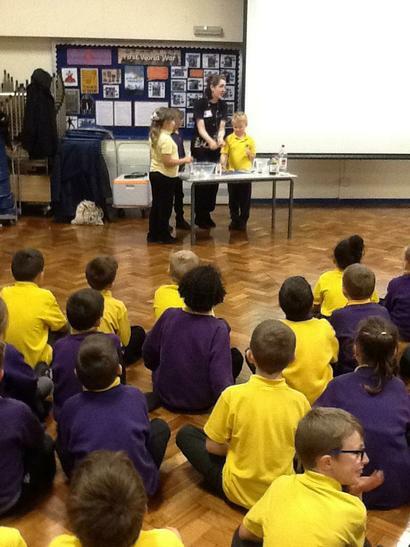 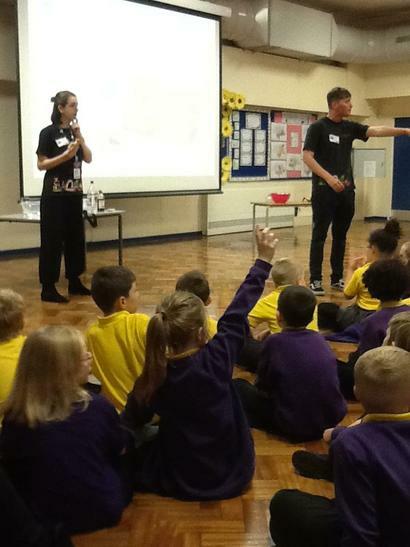 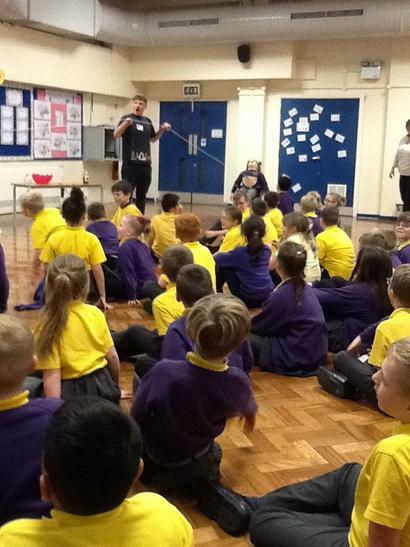 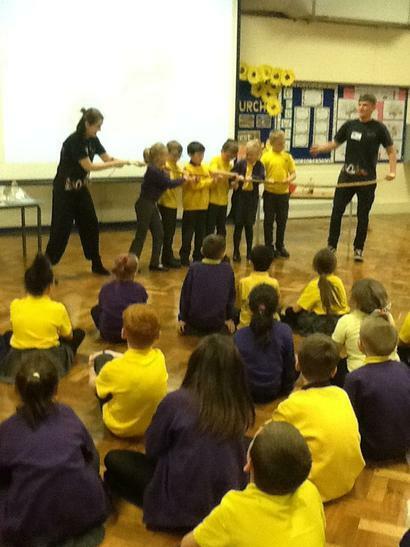 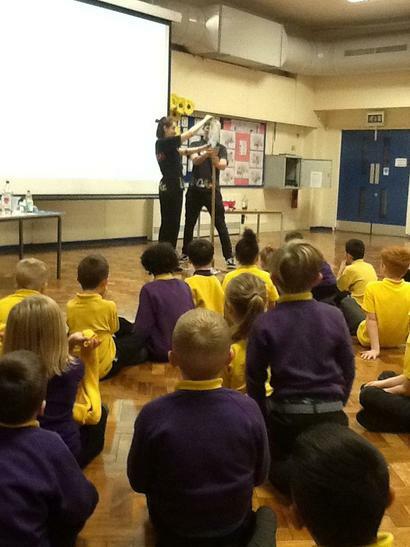 Year 3 and 4 attended a presentation titled 'Chew to Poo'! 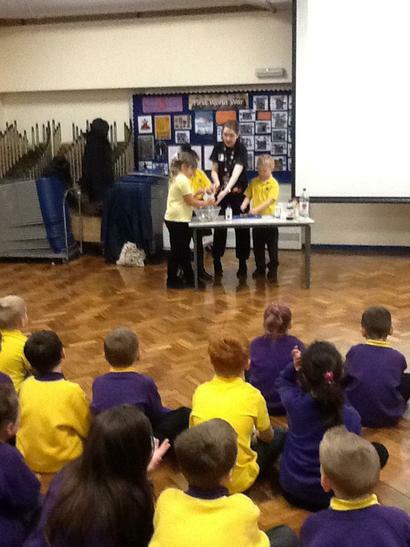 The team started the presentation by discussing the health benefits of a peanut butter and banana sandwich on brown bread. 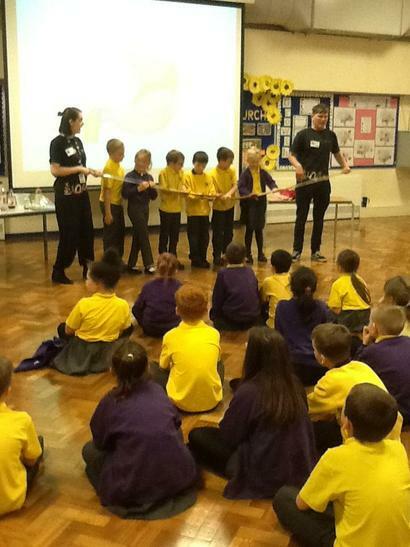 The children then followed the journey of the sandwich from biting and chewing, through to the final exit!